Motorboat & Yachting: Organisers of Düsseldorf Boot 2016 have announced that this year 247,000 visitors attended the boat show. 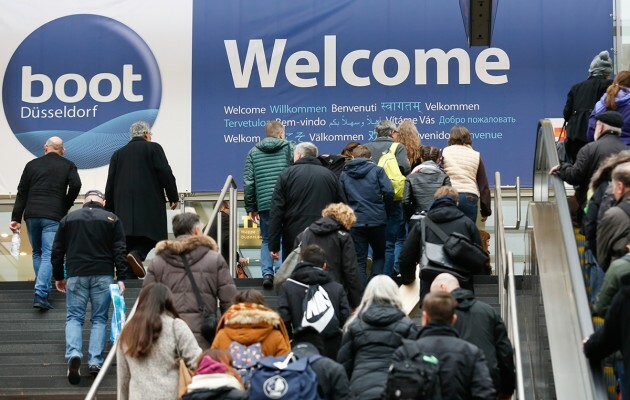 Boot Düsseldorf closed last night and the organisers have confirmed a rise in visitor attendance for this year of a grand total of 247,000 visitors, which marks a 2.8% increased when compare to last year. The figures included 50,000 foreign visitors travelling from 52 countries to attend the boat show. With more than 1,800 boats on display, Düsseldorf Boot is one of the largest in the world and the atmosphere at this year’s show was optimistic and upbeat. His words are backed up by the exhibitors, with 90% of them expecting the boat show to grow further in the next two or three years. The 2017 Boot Düsseldorf Boat Show has been scheduled for 21-29 January.